The masonic apron made by Madame la Marquise de Lafayette and claimed to have been presented to Bro. George Washington of Fredericksburg Lodge, Virginia by General Lafayette in 1784. 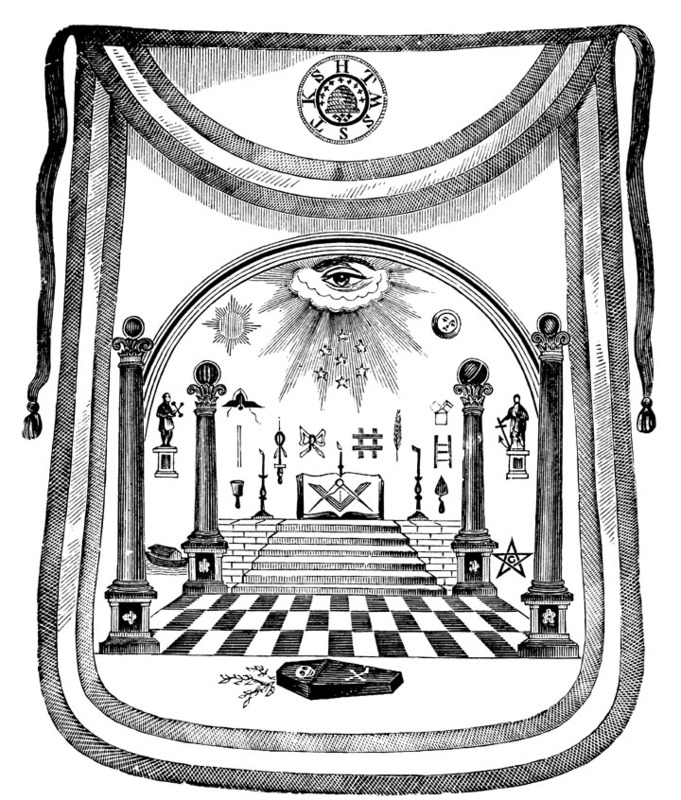 See Esoteric Symbolism of the Watson-Cassoul Apron,, Claude Harris (Alexandria Lodge No. 39, 1998) for further information. Download a 240k black and white jpeg file. Portrait frontispiece : Washington The Man and the Mason, Charles H. Callahan. Washington, D.C. : Memorial Temple Committee of the George Washington Masonic National Memorial Association,1913. Also see : "Washington, engraved from the Portrait painted from life by Williams for Alexandria Washington Lodge No. 22. Virginia 1794." signed O'Neill. N.Y.. Masonic Pub & Man. Co. N.Y.. frontispiece. Illustration of apron: p. 105. 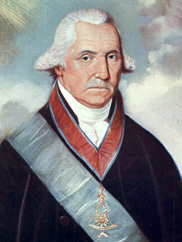 Washington and his Masonic Compeers. by Sidney Hayden. Second Edition. New York: Masonic Publishing and Manufacturing Co., 432 Broome Street. 1866; and Robert Macoy, Illustrated History and Cyclopedia of Freemasonry. New York : Masonic Publishing Co., 1896. p. 85.